During the first half of 2012, we are proud to say that we had almost triple the number closings versus the same time last year. The median prices of these homes were up, as well as the amount of activity and interest in the homes. When you are looking to purchase a condo in either Pelican Bay or in Bay Colony, we would be happy to help you with finding you the perfect home. We have the means to look for ALL properties for sale and will give you a total market analysis. Having over 30 years of real estate experience in the Naples area, we can give you the level of knowledge that goes beyond most other real estate offices. If you are wishing to sell your condo in Pelican Bay or Bay Colony, schedule an appointment and see why Corey and Royal Shell Real Estate is the only choice for selling your home. 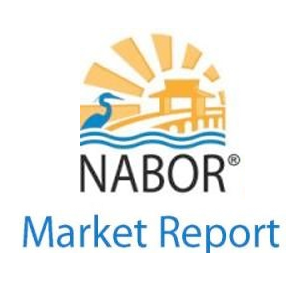 We have the highest presence in the area for Naples Pelican Bay Real Estate and our marketing program is second to none. 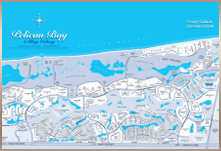 Corey’s history with Pelican Bay goes to when the area was first being built and his father, Charles, built some of the first homes in the area. Give Corey and Royal Shell Real Estate a call today to see how he can help you, whether you’re looking to purchase in Pelican Bay and Bay Colony, or if you want to sell. We will help you every step of the way! Call us at (239)963-6590 to schedule a consultation! Naples Ranks as #1 Community for well-being in the U.S.! "Because of Corey's background as a contractor his advice on property repairs and potential for improvement we were able to make much more informed decisions. I have no doubt that all of this guidance ultimately saved us a lot of money." Copyright 2012-2019 Corey Cabral & Naples Luxury Property Group | NaplesBayColonyProperties.com | Disclaimer | Corey Cabral - Realtor at Downing Frye Realty Inc.